Resuscitating patients can be a fairly difficult process to get right and if performed incorrectly, it can prove ineffective. The Laerdal Pocket Mask with Gloves, Wipe and Soft Blue Pouch creates a tight seal between the mask and your patient's face, while also creating physical distance between yourself and the patient so you can monitor their lip colour and chest movement. Designed with an innovative hydrophobic filter and one-way valve, the CPR device filters out contaminates in the air so they aren't transferred between yourself and the patient. This protects you both from airborne pathogens, liquids and secretions. 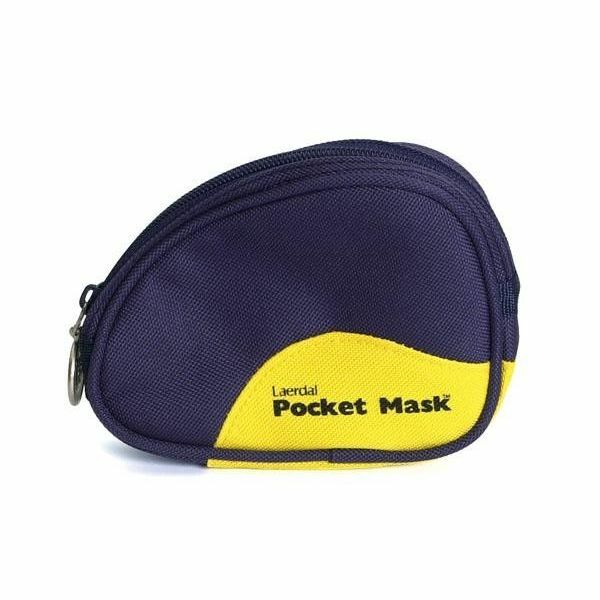 The Laerdal Pocket Mask comes supplied with gloves, a wipe and a soft blue pouch. This helps prevent the spread of bacteria and ensures you can keep the area, patient and mask clean. The Laerdal Pocket Mask with Gloves, Wipe and Soft Blue Pouch will be subject to a delivery time of 3 - 4 working days after the point of order. For more information, contact our Customer Care Team at 020 7501 0593.